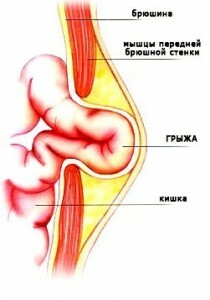 From the wide variety of modifications conduct autodermal strips, proposed by V. N. Anawim, we applied techniques of blanket and holding cruciform. Thus in the intermediate divisions of sterek separate superimposed synthetic sutures. Much easier technique of the strips with original needles. Mandatory on completion of the operating manipulations over the seams to fit one or two drainage from silicone, which allowed to actively aspirated the wound contents, and in certain situations is conducted short dialysis of large wound cavities. Drainage is usually removed 5-7 days upon completion of the surgical intervention. In addition, the patients did not obnarujeno transplant rejection, suppuration of wounds, ligature fistula. At the second day of the sick were allowed to stand. Sutures are removed at 10 to 16 days. In addition, deaths were absent. Recurrence of the hernia was inherent in two patients who had made a significant clear violations in the technique of the operation. Assessing the first results of treatment of postoperative hernias of large and giant sizes using autodermal plastics, we observed a significant reduction of recurrence of hernias, easier postoperative rehabilitation period, along with ease of manipulation, low cost, the availability of the method, allows to hope for a good opportunity to solve the most important problems herniology.